Assist you in cleaning out the eye of your hook. Cutting your fishing line and tying your leader to fly line and tippet to the leader. 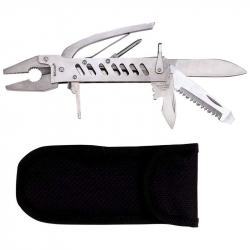 An excellent clipper, Clean-out needle to clear hook eyes, tie-fast knot tyer. 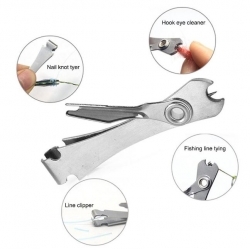 Easy-to-use nail knot tying tool, Fishing line cutter. 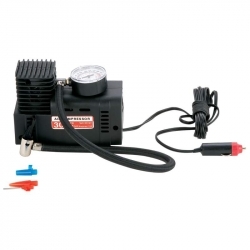 Features air gauge, vehicle power source plug, 3 nozzle adapters, and snap-lock air nozzle. Measures 5-3/4' x 2-3/4' x 4-3/8'. Clamshell. 2. Magnetic body attaches easily to any metal surface leaving your hands free to work. 3. 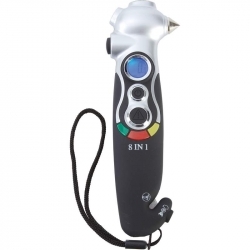 2 Modes Of Operation: Work lamp or Flashlight Modes. 4. 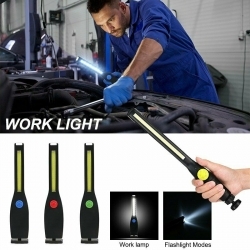 The perfect automotive emergency flashlight to help yourself in a breakdown. 5. Specifically designed for your Convenience & Safety. Maxam(R) 8-in-1 Tire Gauge and Emergency Tool features tire pressure gauge, LED flashlight, glass breaker, flashing emergency light, seat belt cutter, tire tread depth meter,lanyard, and magnet for hanging. Pressure range is 5.0-99 psi. Requires 2 AAA batteries (included). Measures 7-1/2" x 2-1/2" x 1-1/8". Clamshell. 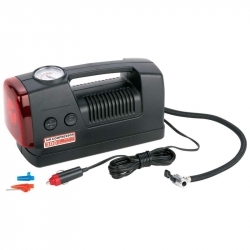 Maxam(R) 3-in-1 300psi Air Compressor and Flashlight features emergency flashing light, flashlight, air compressor, air gauge, vehicle power source plug, and 3 nozzle adapters. Measures 10-1/2" x 5-7/8" x 4". Gift boxed. Includes 56' x 26-3/8' windshield shade, 2 side window shades and rear window shade. Rolls up for easy storage. Carded. 420 stainless steel. Measures 5-7/8" closed. GB.